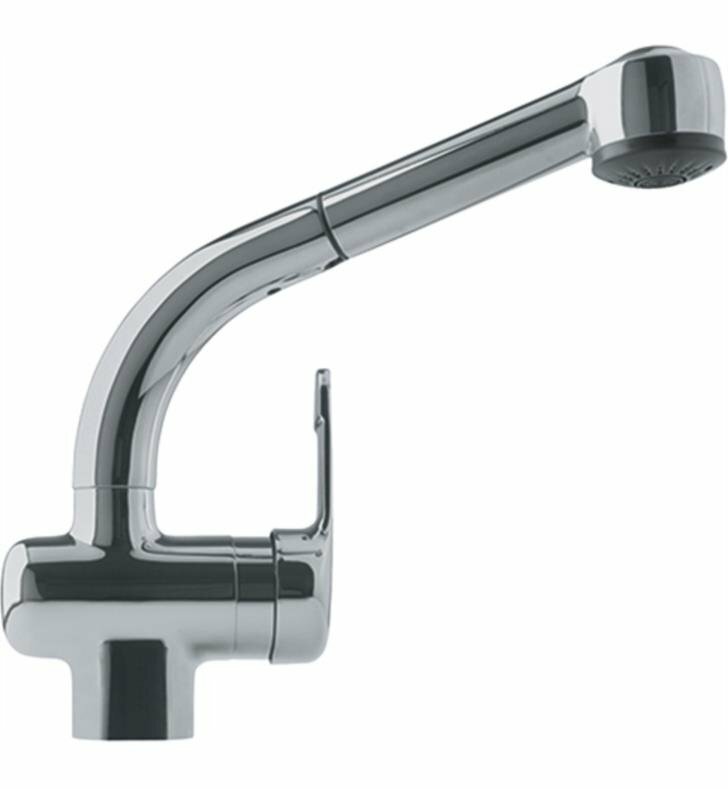 The Franke Nobel Single Hole Deck Mounted Pullout Kitchen Faucet is an exceptional choice, combining form and function. Make your life easier and your kitchen more elegant with Nobel’s extraordinary design and high quality components. Countertop hole diameter: 1 3/8"
Make large and cumbersome dishes in the sink history. 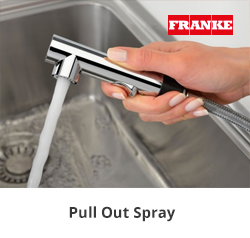 Pullout Spray faucets let you transform your kitchen into a multi-functional work area. Thanks to the swivel-mounted faucet neck and the spout that can be pulled out sideways, large bowls and pots can be filled with ease. H 10 1/2" x W 2 1/8" x D 9"